* Martin's Artisan in drafting height with adjusting 22-30" height lever. * High gloss plastic comfort 12.75" diameter seat. 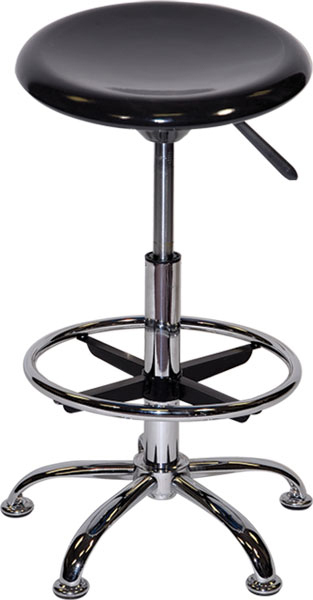 * Chrome legs and 15" Foot Ring and 5 star safty base. 18" x 18" x 9"